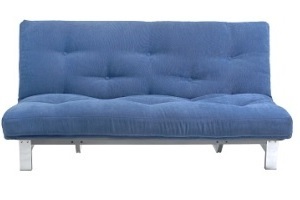 Home / Futon Mattress Choice / FutoLatex Futon Mattress for bed use. 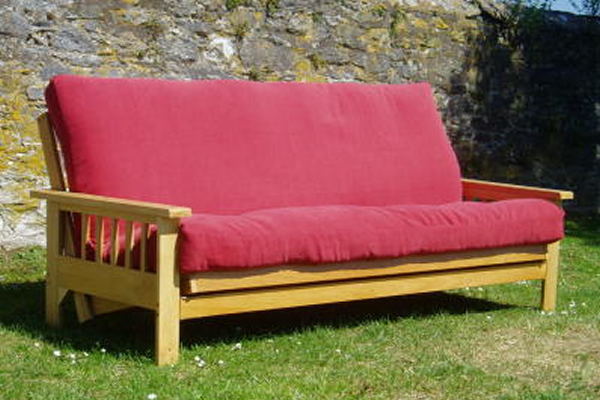 This lovely futon mattress is manufactured down here in Devon using the best fillings of pure lambswool, cotton rich felt and a core of natural latex. The FutoLatex futon mattress is well made with a good quality interior filling, this a mattress which many will aspire to for a traditional firm but supportive sleep. Natural Latex is farmed from Rubber Trees (Havea Brasilliensis). The liquid latex is converted into foam latex by introducing air and heat creating a foam structure ventilated by airholes. Latex is naturally supportive and performs well in regaining its form and shape, it is also hypoallergenic, anti-microbial, dust mite resistant and breathable, keeping you warm in winter and cool in summer. The Mattress ('Futolatex') is sumptiously hand made:- inside the cotton casing is a top and bottom layer of natural lambswool then 4 layers of cotton rich felt surrounding a natural latex core. We recommend the use of a mattress protector for this mattress. NOTE - we are only producing the Futo-Latex mattress upholstered in Natural Cotton Drill at present; colour drills are not available. 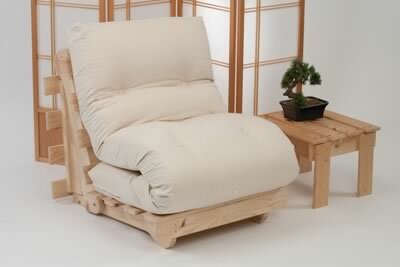 Permanent sleeping mattress for a slatted base, tatami mats or the floor. In stock for a speedy delivery. (Delivery Mainland UK £Free).